Home Topics Computer Games Arcade & Retro Retro Manuals, Maps and Other Documentation. Retro Manuals, Maps and Other Documentation. I thought some might find this useful(or just interesting to have a read). 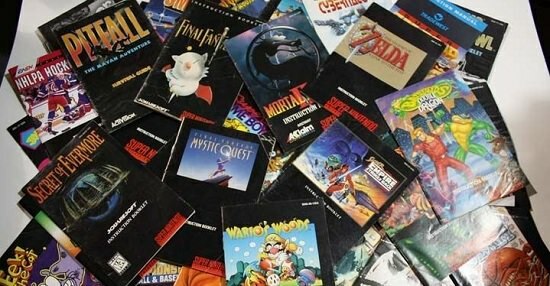 I’ve compiled a bunch of retro manuals and documentation from various sources into one clean Google Drive link. I’ve more to add to it, but it’s about 35GB right now and you can view most of them online without downloading. Just a note to say this is constantly updated with more stuff. There'll be nearly 100GB of manuals and docs by the end of this week once I sort through some stuff. So it's worth checking back if your looking for something in particular. Last edited by Steve X2; 16-08-2018 at 21:14. While this adds to the number of stickies in this forum, I reckon this is a great resource. Aside from thanks, please not make this a discussion thread. Also, if you have an archive of more material relating to the arcade and retro scene, this might be a good place to put them. Please PM Steve X2 to have the material included in the main link above. However, if it does step over the IP line, don't be offended if it is not accepted. Last edited by CiDeRmAn; 16-08-2018 at 14:34. If people have stuff they want added and its not dodgy(or already there) I'll gladly do it.